I’ve been thinking about the zombie apocalypse lately. Not what weapons to carry, or where I might get food. Or what happens if I have an accident and need surgery. But I’ve been wondering what watch to wear to survive. No self-respecting website about watches would leave this important question unanswered. It’s vital to know what time it is. You want to know how much daylight remains. You want to know how many hours there are until dawn. You want to know how long you’ve been walking to get an idea of how far you’ve gone. You want to be able to meet with your group, in say three hours. Keeping track of time is important when there are zombies all over. A fine choice for the zombie apocalypse. A regular quartz watch is out of the question for the zombie apocalypse for the same reason that you won’t be able to rely on smartphones. When the battery goes, the watch is useless. Except for solar powered quartz watches. They’ll go on forever, and that’s a consideration when it comes to choosing the right watch to be wearing when you have to bolt out of your home. You don’t want to prowl around the dark battery corners of Wal-Mart when you need to resuscitate your quartz watch. Finding food and medicine is more important. I once thought that a kinetic watch might do the trick because kinetic quartz watches don’t need batteries, but apparently the miniature gerbils that keep kinetic watches going need to be replaced every 10 years or so. Assuming that a cure hasn’t been found in 10 years, you still want your watch to work. I’m not entirely sure of all the criteria that one needs to evaluate when it comes to finding the best watch for the zombie apocalypse. I have no idea, really, what it would be like. The closest I’ve come is being stuck at Boston’s Logan airport during a heavy snowstorm when all flights were canceled. But I’ll do my best to provide the most useful information to prepare, based on that experience and what I’ve read. Durability is essential. Your watch is going to take a beating. With that in mind, a mineral crystal, at least; sapphire, which is virtually scratch proof, is preferred. A titanium case makes a lot of sense, too, because titanium can take a bite and survive intact. Waterproof, of course, is vital. You may need to leap into rivers and lakes to escape zombie herds. Not to mention the fact that you may not always have a roof over your head when a rainstorm starts. What about complications? Complication is a watch term for those add-on features, such as alarms and chronographs. While they can be helpful in the ordinary, pre-zombie world, you don’t truly need an alarm on your watch. It’s not like you’ll be sleeping with both eyes closed, anyway. You’ll wake when you need to. Stopwatches are handy for pilots, but a sweep second hand is all you’ll need to do things like take somebody’s pulse to see if they’re still human, or if they’re about to turn. I think that tritium or SuperLuminova --stuff that makes your watch glow in the dark-- are good features: There will be plenty of times when you’re in the dark and want to know what time it is. Tritium and superluminova watches can also function as miniature flashlights in a pinch. Tritium never needs an external light to become bright because it’s semi-radioactive. (Tritium isn’t dangerous, but even if it was, it would be a comparatively minor danger.) Superluminova is brighter than tritium, but the brightness fades after a couple of hours. Decide on your needs --all night visibility or short-term brightness-- and choose. One more thing: There’s no way to know if zombies’ eyesight is good enough to spot a luminescent watch in the dark. If you’re worried about that, choose a watch that isn’t zombie bling. There’s the philosophical and aesthetic to consider. The world’s going to be an ugly place, and having something pretty on your wrist might be the ticket to continued sanity. Having a watch that you like to look at can bring you out of the darkness that is fear just when you need it most. A nice Rolex, Breguet, or Patek Philippe, perhaps. Being able to see a little beauty can inspire you, maybe even give you that smidgen of creativity that you need to find your way out of danger. 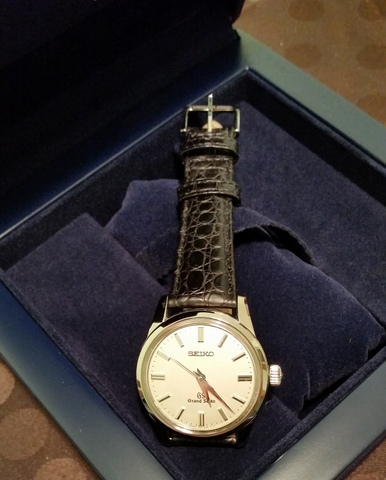 There are a lot beautiful watches in the world, and I wonder if that’s not the best way to go. When things are at their worst, is it not good to have something that touches your soul just a little? Should your watch be 50 percent time keeping and 50 percent sentiment? So perhaps durable and pretty. Vintage watches may or may not fit into this category. If a watch has been running for 25 years, it might be good for another 25. Past is prologue, right? On the other hand, a mechanical vintage watch does need service every few years. It’s hard enough to find a good watchmaker in pre-apocalypse days. Imagine how difficult it will be to find one now. 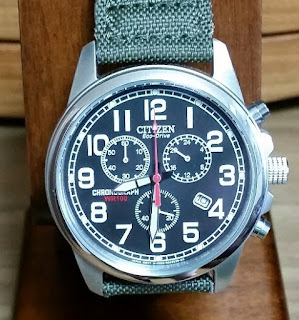 I've worn a Citizen solar chronograph from time to time. It's durable and I'd imagine that having a stopwatch might be useful in ways that I can't yet fathom. The Omega Speedmaster, the original moonwatch, wouldn’t be a bad choice, but it might not be the best, either. If it’s right for the harsh extremes of outer space, then it should survive the zombie apocalypse, too. The original moonwatch isn’t an automatic though, and I’d recommend an automatic watch over a manual winding watch. There may just be some days when you’re too distracted to remember to wind your watch. Believe me -- your automatic watch will get plenty of motion to keep it wound. Right now I’m going to go with a solar dive watch. It may be the wrong choice, but there will be a lot of less than optimal choices we’ll have to make before and during the zombie apocalypse. What I like about the Seiko solar dive watch is it’s durable, really strong. A zombie bite is not going to take out this watch. It’s very waterproof, well beyond the depth any zombie can get to. It has a rotating bezel. I’m not sure that a rotating bezel is necessary, but then again it might be called into service one day. The watch is quartz, which makes it accurate, but it’s solar powered. That means no batteries to have to search for. It has bright, luminous hands. The Seiko solar dive watch also displays the day and date. It may not seem like a big deal now, but after a few months without any calendars, it might be easy to forget what day it is. I’d like to be able to do little things like celebrate birthdays and welcome in the New Year -- another year of surviving. 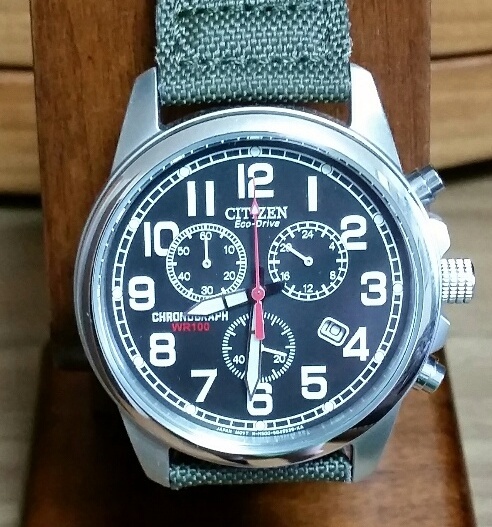 A watch should bring with it a touch of civilization, if it can.